Makthaverskan’s III represents the band’s most focused songwriting, patiently recorded over the last three years as a leaner four-piece with producer Hans Olsson Brookes. Where past records were collections of scattered songs, III conveys an intentional cohesion. At the core is Milner’s austere purview. She turns her feminine powers against society, rather than the wreckage of her past, yet still exploring themes of what can and cannot be controlled. “In My Dreams,” takes the perspective of dreams as an opportunity to play out the grand possibilities of love, knowing that once she’s awake they’re out of her hands. 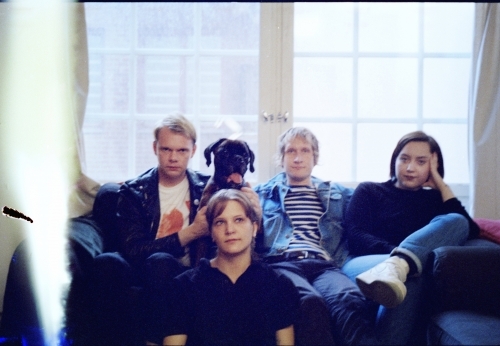 09/04/2017Swedish post-punk band, Makthaverskan, Joins Our Artist Roster!